Should the Juice be loose? Investigation Discovery (ID) has ordered the Hard Evidence: OJ Is Innocent TV series, narrated by Martin Sheen. The six-episode series will premiere in early 2017. Jimmy Fox, Greg Lipstone, Layla Smith, William C. Dear, and Sheen are executive producing for Objective Media Group America/All3Media America. Lorna Thomas is executive producing for ID. (New York, NY) – Twenty-one years ago, the images of a white Ford Bronco making its way down Southern California’s freeway flashed across our television screens, captivating a curious audience across the nation. But little did we know, this police chase would lead to the most highly publicized criminal trial of the century and signify the birth of a cultural obsession. From popular culture references to the latest FX series America Crime Story: The People vs O.J. Simpson, the murder trial of O.J. Simpson remains a relevant topic of conversation. But what if the world was too quick to convict O.J. Simpson? What if we were wrong all along? Today, Investigation Discovery (ID) announced it will begin production on a riveting true crime series, HARD EVIDENCE: OJ IS INNOCENT, presenting a new theory and never before seen evidence to reveal a possible new suspect behind the case we all think we know. Executive produced and narrated by Emmy award-winning Martin Sheen, the six-episode series is slated to premiere in early 2017 only on Investigation Discovery. Over the past 21-years, Dallas-based private investigator William C. Dear has gathered undisputed facts and critical new evidence to build a new theory: O.J. Simpson is innocent. In HARD EVIDENCE: OJ IS INNOCENT Dear teams with former LAPD forensic psychologist, Dr. Kris Mohandie, and Rhode Island police Sergeant, Derrick Levasseur, to re-examine the O.J. Simpson case from beginning to end, revealing compelling new information that points the finger directly at a new suspect in the murders of Nicole Brown Simpson and Ron Goldman. HARD EVIDENCE: OJ IS INNOCENT is produced for Investigation Discovery by Objective Media Group America/All3Media America with Jimmy Fox, Greg Lipstone, Layla Smith, Martin Sheen and William C. Dear serving as executive producers. For Investigation Discovery, Lorna Thomas is executive producer, Sara Kozak is senior vice president of production, Kevin Bennett is general manager, and Henry Schleiff is Group President. Have you been watching American Crime Story: The People vs. OJ Simpson on FX? 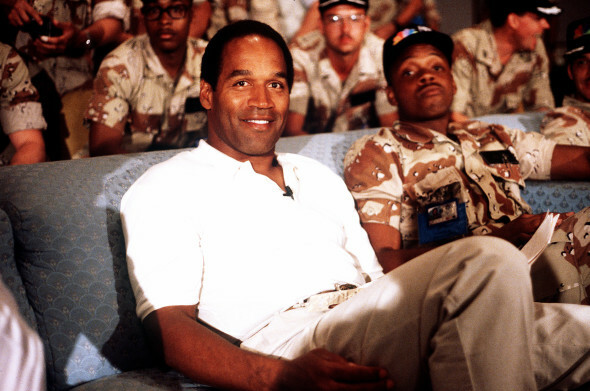 Has that series made you reexamine the murders of Nicole Brown and Ron Goldman? Will you check out ID’s new Hard Evidence: OJ Is Innocent TV show? Sound off, below. More about: Hard Evidence: OJ Is Innocent, Hard Evidence: OJ Is Innocent: canceled or renewed?, Investigation Discovery TV shows: canceled or renewed? The timeline the guys drove for Jason Simpson is WAY OFF!! The Hispanic bussboy said that the BUSS BOYS got off at 9:30!!! That the cooks left EARLIER & that it was a SLOW NIGHT. Really hits?!?! They could have left the theatrics and drama out of the dialogue. Completely unbelievable. This show is the biggest joke ever. HA HA HA HA HA HA HA…. even the idea that he’s innocent is ridiculous… he did it. No way anyone w/a brain is going to watch this trash. Don’t you wish that you had a time machine that not only took you back in time, but you could stop it at any specific point in time that you wanted. For instance, the time of Jesus, the pyramids, who actually arrived in North America first, and who killed Nicole. And believe me, I’m not being facetious whatsoever.